Partners Contact Us About Fed. 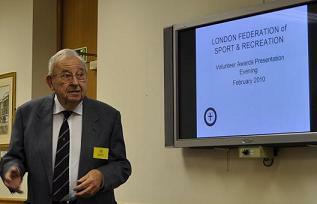 The London Federation of Sport had the pleasure of recognising some 280 years of voluntary service to Sport on 25th Feb when it presented awards to a number of volunteers in Central London. The awards were presented by the Federation President, Michael Close.